What Does The Best Bond Cleaning In Carina Cover? Finding and selecting reliable house cleaning in Carina is not easy. The most common questions we get asked by people like yourself have been collated below to assist you in making a smart decision. WHY ARE MAID2MATCH CARINA’S BEST AT VACATE CLEANING? The truth is great bond cleaners possess a different skill set than regular house cleaners and therefore requires specific experience, dedication, and a first-class cleaning checklist. 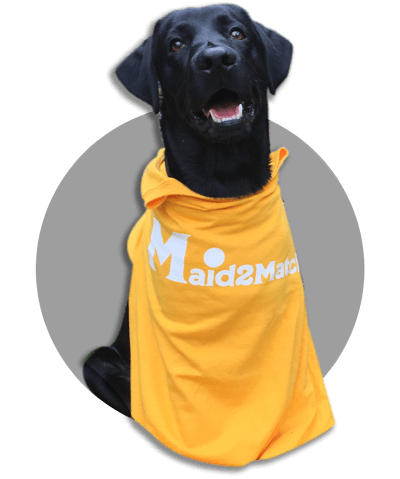 At Maid2Match, we personally vet all our cleaners, after having them complete a three-part application form. We provide extensive support and have crafted the most effective bond cleaning checklist you’ll find. Let our experts take the stress away with our bond back cleaning Brisbane. Situated 7 kilometres away to the east from Brisbane CBD, Carina is one of Brisbane’s loveliest suburbs. Neighbouring Carindale, Cannon Hill, Carina Heights and Camp Hill, Carina is a residential suburb perfect for sports aficionados. In Zahel Street you can find a huge sporting complex called Clem Jones Centre that’s sure to offer you lots of fun. Besides, Carina is the home of the Carina Tigers Rugby League Football Club. Carina is also great for hikers and nature lovers, with a varied terrain. You can see the wide, flat plain of Bulimba Creek, or you can hike the western-side Seven Hills or Camp Hill. Besides, there is plenty of recreational cycling being done in the area but limited to the west part. In the east side of Carina, you can always go to Porter’s Paddock if you want to enjoy the Bulimba Creek Cycleway. This suburb looks quaint and picturesque with its grid streetscape, paved footpaths and local pocket parks. If you want a bit more adrenaline rush than a simple walk can offer you, try Ripcord Skydivers at 4 Christole Court and try some skydiving. Afterwards, you can stop for a bite to eat at one of the nearby restaurants or go for a relaxing massage at Morningside Acupuncture & Natural Therapies Healing Sanctuary.